There’s always something happening at The Park, but on Tuesday and Wednesday nights things really start to pick up! The party hits the park every Tuesday and Wednesday beginning at 5 pm! Enjoy free live music, $5 drink specials, and food specials throughout the beautiful outdoor area. The acoustics are awesome, and the bands rarely disappoint! 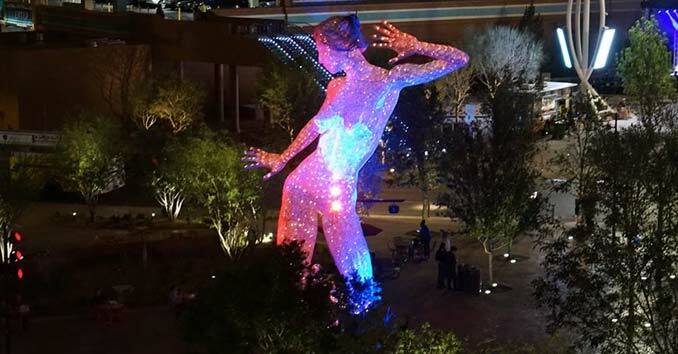 The Park is an immersive, outdoor destination for dining and entertainment; it features modern sculptures and water fountains, plenty of seating, and is located between the Monte Carlo Resort and Casino and the New York-New York Hotel & Casino.